A recent case of incorruption in a modern day Saint is perhaps the best example for the reader of these lines, as the circumstances surrounding it were documented using modern methods and tests. 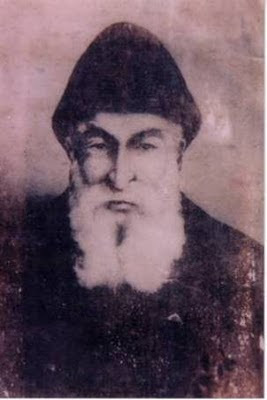 St. Charbel Makhlouf (sometimes spelled Sharbel) was born in 1828 in Biqa-Kafra in the high mountains of Northern Lebanon and was given the name of Joseph by his humble farming parents, and was the youngest of five children. From his early childhood he displayed from a strong attraction to prayer and solitude. Despite the displeasure of his family he left home at the age of 23 to join the Leb¬anese Catholic Maronite Order. He was sent to the Monastery of St. Maroun where he pronounced his Vows in 1853 after two years of novitiate. The name he was given, Charbel, was that of a martyr of the Christian faith who died in AD.121. Having received a thorough theological education in a seminary of the order, he was ordained a priest on July 23, 1859 and was reassigned to the Monastery of St. Maroun, Lebanon, where he spent the next 16 years as a monk in the practice of monastic virtues. In 1875 he received permission from his superiors to live a solitary life a short distance from the monastery in a hermitage named after Ss. Peter and Paul, which was used by priests during days of quiet personal retreat. In this secluded sanctuary he spent the remaining 23 years of his life in sacrifice and bodily mortifications. The hermitage cabin was very basic shelter, and his existence there was full of hardships. Additionally, it is recorded by his companions that he wore both a hair shirt and a chain belt. His bed was composed of oak leaves covered with a palliasse; his pillow was merely a piece of wood rolled up in the end of a soutane. His prie-dieu was a cluster of sticks covered in the same way by a piece of a soutane. St. Charbel was most noted for his extraordinary devotion to the Holy Eucharist. His daily Mass was celebrated at about 11:00 each morning so that the morning hours could be spent in preparation for the Mass and the rest of the day was spent in thanksgiving. He is known to have performed several miracles during his life. 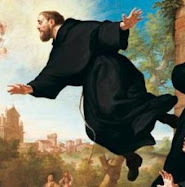 He once saved his brothers from a poisonous snake by ordering it to vanish; he recited his Divine Office by the light of a lamp which a brother purposely filled with water instead of oil; he cured a madman by reciting a prayer while imposing his hands upon him; and once, on the orders of his superiors, he saved their farming lands from a scourge of grasshoppers by sprinkling the fields with holy water. In 1898, on December 16, while at the Elevation of the Host during Mass, he suffered an apoplectic stroke from which he never recovered. Eight days later, on Christmas Eve, at the age of 70, the saint died, having been a priest for 39 years. According to monastic tradition, the body was not embalmed, but was dressed in a simple cassock and was placed in the monastery chapel for 24 hours. The body was then conveyed to the monks' burial chamber in the presence of his confreres and village folk who had braved the snow and cold to witness the interment. The burial chamber consisted of a large subterranean room located partially beneath the high altar of the chapel and extending eastward to an area beneath the monastery garden. Those who descended into this chamber found the ground covered with rainwater that converted the floor into a veritable swamp. In view of this situation the body was not laid on the ground as was customary, but was placed on two planks which did not prevent the water and mud from encroaching upon and subsequently submerging it. The entrance to the vault was closed with a great stone. When the body was cleaned it was found perfectly incorrupt, the muscles supple, with the hair of his head and beard intact. At this time it was also noticed that a serum mixed with blood seeped from the pores. They placed the body in a wooden coffin that was glassed on top, and carried it into a small monastic oratory. From then on, because of the great amount of blood seeping from the body, the clothing of the saint was changed twice weekly. News of the phenomenon prompted ever in-creasing numbers of visitors who for 27 years were permitted to view and touch the body. The sweat of liquid and blood continued to exude from the body, and the garments were found stained with blood, the white content of the fluid having collected on the body in an almost solidified condition. Part of the chasuble had rotted and the zinc tube containing the official documents was covered with corrosion. The remains were later en-tombed in the same location. The holy monk was beatified December 6, 1965 and was canonized by Pope Paul VI on October 9,1977, a day on which several miraculous cures took place at the new saint's shrine. Since the 1950 examination and especially since the beatification and canonization the number of pilgrims to the shrine has been so great as to be inestimable. 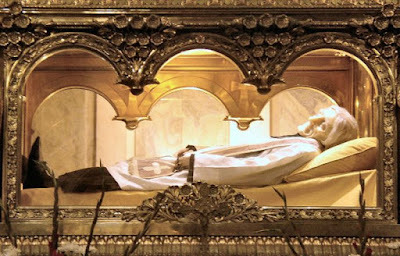 For 67 years the remains of the saint remained perfectly preserved and exuded a blood fluid described by all accounts as being supernaturally sustained and preserved of any corruption, but the body was found at the time of the beatification in 1965 to have complied with the laws of nature. Only bones were found and these of an inexplicable reddish color and during this time the flow of the fluid had ceased. Still in existence is the poor stone house of the saint's birth, his hermit's cell which has been turned into a shrine, the altar on which he offered his last Mass, and many small articles such as his chalice, crucifix, crude table utensils and bowls. Many well-authenticated miracles have been performed at the shrine. After the exhumation of 1950, the monastery began keeping records of the miracles and with in a two-year period had collected over twelve hundred reports. Two of the cures acknowledged as being miraculous and accepted by Pope Paul VI as the required miracles for the beatification occurred during 1950. The first involved Sr. Maria Abel Kawary, S.S.C.C., who suffered for fourteen years from a gastric ulcer which neither surgery nor medication could cure or relieve. Unable to eat and compelled to stay in bed, she was in such grave condition that she was given the Last Rites of the Church three different times. After fervent prayers at the tomb of St. Charbel, she was completely and spontaneously cured. The doctor who examined the nun after the miraculous cure recorded it as "a supernatural happening which is beyond man's power to explain." The second miracle accepted by the Sacred Congregation occurred to Mr. Alessandro Obeid, who was blinded when the retina of his eye was torn when it was struck by the branch of a tree. 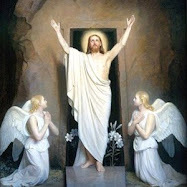 His sight was miraculously restored at the tomb, and he was privileged to see his heavenly benefactor in a vision. The physician who had treated Mr. Obeid during his blindness and who examined the effects of the miracle attributed the cure to an "Almighty Will which operated only by divine grace. There is no other explanation and it is certain that we have seriously sought an explanation without finding one." Probably the most startling and frequently mentioned miracle involved a fifty-year-old seamstress, Miss Mountaha Daher of Bekassin, Lebanon. Since childhood she had been the object of ridicule because of a disfiguring hunchback, which several doctors could not reduce. Her cure was obtained after a visit to the tomb, during which she prayed not for herself, but for certain needy relatives. Her physician testified that he had examined her many times before the cure and declared that besides the deformity of the huge hump she had other deformities, including a "chicken-breast" and misshapen shoulders. The figure of the woman after the cure was of normal proportions. “A Miraculous Star in the East, Charbel Makhlouf”, Paul Daher, Lebanese Maronite Monastery of Annaya-Djebeil, Lebanon, 1952. -“The Incorruptibles” by Joan Carroll Cruz, 1977, Tan books and publishers. Hi Glenn, thank you for increasing my faith and all that you do for our religion. I absolutely love to read about the lives of saints. How does one obtain a copy of the book about St Charbel. = the miraculous star? Unfortunately the book "A Miraculous Star in the East, Charbel Makhlouf” by Paul Daher is difficult to find. You best chances are on the internet through one of the used book website like ABE books or Alibris for example. Wow! love these types of stories...I wonder where these incorrupt corpse are so I could go visit...they are more significant than the Eygptian "mummies" who out of total anxiety wanted to save their dead bodies from decaying. 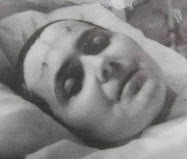 Totally disagree with the top incorruptible body; what about Bernadette Soubirous? Was not embalmed, exhumed three times, autopsy performed three times, all results are on-line, her skeleton, liver, ligamants and muscles are all intact; she lies in Nevers, France in a crystal chapel since 1925. Here is just example of another miracle. There is a statute of St. Sharbel at St. Sharbel Maronite Catholic Church, in Las Vegas, Nevada. A few weeks ago, the statute started to "bleed oil" from the head, chest and palms of the hands, after two Mexican Priests gave a Mass there. The statute had been there for over 5 years. Not a hoax, I visited the statute myself and saw with my own eyes the "oil pouring out". Since then the Knights of Columbus, have been guarding the statute 24/7 for its protection. So, if you are ever in Las Vegas, come on out and form your own opinion. St. Sharbel a Lebanon Saint, has been attributed to over 300+ miracles. "As Catholics, we do not base of faith on the alleged miracles that have occurred throughout the history of the Church. Our faith rests solidly on God's holy Word as revealed in the Sacred Scriptures. Miracles are intended to inspire us and support our faith in the living God, but our faith does not rest upon them. Our faith rests upon the Holy Trinity as revealed in Sacred Scripture. When it comes to the incorrupt holy men and women in the Church, it is what I would call simply "an interesting addendum to the lives of certain holy individuals". "When studying those who are allegedly incorrupt, either fully or partially, one notes right away that the greatest Saints recognised by the Catholic Church are not among them--The holy Apostles, St Benedict, St Francis of Assisi, St Thomas Aquinas, St Augustine, St Gregory, St Basil etc. --none of these are recognised as being incorrupt. So incorruptibility must not be some kind of effect or signification of holiness, else certainly some of these great Saints of the Church would be in their number. So what then does incorruptibility signify? We don't know for sure. But I think that we can say that while it is remarkable sign, it also simply an interesting addendum to the lives of certain holy individuals." -I think this reflection really helps to put the matter into the proper perspective. Thank you for your valuable information about the incorruptible bodies of the saints. Holy Charbel, intercede on behalf of Nieva Rebecca Aurora, a 3-year-old girl undergoing cancer treatment. Please pray for her recovery, and for her parents as they struggle to cope emotionally and financially. Most Holy Theotokos, save us! I am 66 yrs old but I still remember that my grandmother had a post card like picture of St Charbel appearing behind a small group of people. Both sets of my grandparents were from Lebanon. Is my memory correct? I'm not a religious person and never have been, but it's things like this that lead me to the unshakable belief that there is obviously so much more to this experience which we call "reality" than anyone knows, or ever could know, for that matter. It's quite possible that many of the so-called "incorruptibles" are a simple case of an atypical mummification or preservation of sorts, but there are others that seem to fall outside of that category. People from all areas of the globe and from all walks of life have ended up in a state of "incorruptibility," and I love that such widely revered institutions as science (and religion, to be fair,) run into these little "hiccups" now and again that remind us that we can't possibly know for sure how all of this works or why. If love to think that religion or science actually held the answers, but in the end I'm glad that none of us really know just what were doing. It's something that us humans can bond over. The search for answers to any legitimate question is a noble search. Information is great, the learning process itself is better, but wonder and awe are the best of all. 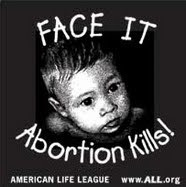 This is as it occured by faith in christ you take it very serious it may just save your life it did mine. OK There was a woman talking on Facebook she used jesus name talked like she was and even told me to cast it out in jesus name but what she didn't do well was control her need to brag. We were discussing miracles and she laidd claim to be able to do such things i litened but then she got too proud and started sayiing like i bust lightbulbs in my glare ok now we know you can;t do these things not of gods will you don't get it you dont do miracles god does. So i decided to show her St. Sylvan in very good looking shape he died a martyr of Christ in 340 AD he looks like he's ssleeeping exceot that deep cut across his throat so anyway her forst respone was i don't understand i didn't answer that then in less than 5 seconds i was witness to the fact that the body os real and if evil gets close it releases the wrath of flames onto the entire group of demons i had no clue were there it got them all to no abiities level and to reveal her nature and the intent the lord caused her to type lilyanna needs a sacrifice of blood that is pretty clear who and what just happened it was blue fames coming from not far above me and they caused a loud explosion which sent their energy flying out of them to me so it is written this way as good helps having mental powers that do things as you effortlessly think iit to do. But the evil ones didn't just gie up no way they are suicidal to get even i didn't o it you ask for it so throw the name of jesus around soe more and you'll get more of the same he will not put up you saying his name and all to lead everyone astray so they like you kill chidren drink blood and do sick things i cannot see how you got them to do in the first place. But its a good shocker for the evil doer he gets to fry his brains a bit but the powers go to you ad they are helpless now so try it out if it explodes use the power to kill them dead with. 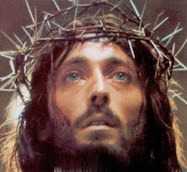 But God is real and so is Jesus and they are not happy with you and the res t of thehuman race. Does St. Sharbel have a prayer dedicated to him? I'm concerned about humanity when so much progress in knowledge doesn't seem to affect a desire to believe in something beyond reality. God has never intervened in this world and likely never will.